Shirley Anne Stephens, 82, of Huntsville, passed away Sunday. She was preceded in death by husband, William D. Stephens; grandson, Nicholas Green; father, Stanley Lellis; and mother, Ada Gray. Surviving are sons, Tony (Rhonda) Dix and Jimmy (Katy) Dix; daughters, Donna (George) Kunkle and Lisa Dix; granddaughters, Danielle Dix, Erin Green, Chelsea Wells, Kaci (Oscar) Montantes, Kimmi McGinley, and Melissa (Jason) Labart; grandsons, Justin Dix, John (Lisse) McGinley, and Mat Kunkle; and 13 great-grandchildren. The family would like to recognize her team from Hospice of the Valley and her beloved caregivers Pheonix Hotaling and Shane Melvin. Visitation will be Wednesday 12:00 PM to 2:00 PM at New Hope Funeral Home. Services will be held at New Hope Funeral Home, Wednesday at 2:00 PM with Bro. Joshua Doss officiating. 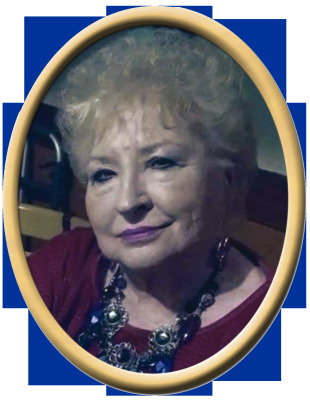 "Email Address" would like to share the life celebration of Shirley Anne Stephens. Click on the "link" to go to share a favorite memory or leave a condolence message for the family.